Reg: $4,599.00 You save $920.00! An ideal mattress for couples, the Queen size Tempurpedic Cloud Supreme Breeze is a great instance of when a company takes an already impressive product-- the Cloud Supreme-- and makes it even more extraordinary. 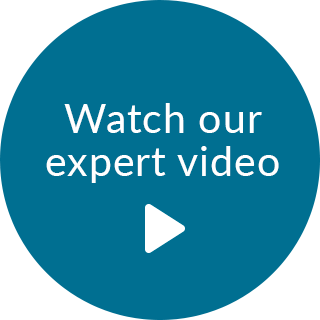 Complete with a number of exceptional comfort features, and ready to suit just about everyone with its medium-soft Comfort Scale score of 6, the Cloud Supreme Breeze is one of the top foam mattresses on the market today. 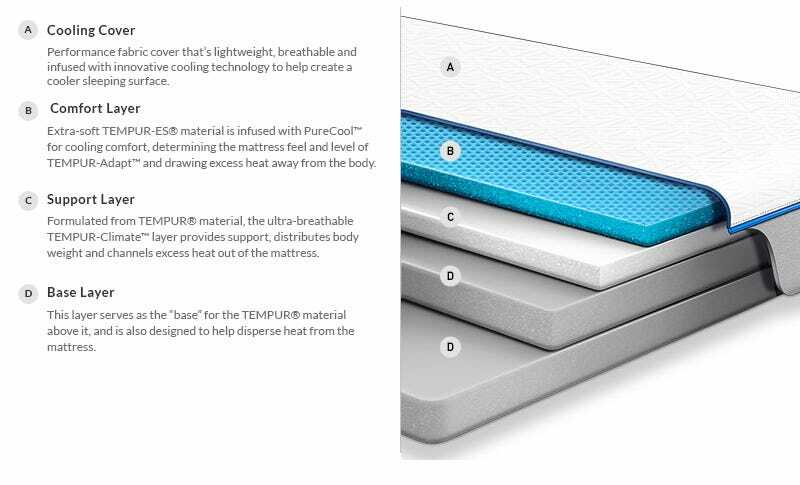 This mattress features a unique phase-change cooling material built into its quilt. For simple proof that it truly feels cold, just touch the quilt! This expertly engineered feature will certainly be appreciated by anyone who tends to sleep warm at night and wants to sleep comfortably cool. The comfort padding layers include TEMPUR-ES, the most soft material found in Tempurpedic mattress, crafted to provide you with sufficient pressure relief and, in turn, prevent tossing and turning. A lofty layer of TEMPUR-Climate Material helps pull heat away from the surface and direct it away from the body, while working in conjunction with the foam core to ensure essential support and provide proper spinal alignment. To summarize, if you’re on the lookout for a luxury mattress that feels cool to the touch, and you are curious about enjoying the many benefits of TEMPUR material, I highly recommend the Queen size Tempurpedic Cloud Supreme Breeze. Cal King 11.8" 72" 84"
Twin XL 11.8" 38" 80"
Split Cal King 11.8" 72" 84"
Split King 11.8" 76" 80"
Have sleep on the mattress just for a few days and I sleep well in all positions. The cooling breeze effect really works too! Convert - Best investment we've made in our home! From day 1, we loved this mattress. The cooling touch is so comfortable, not as noticeable with the waterproof cover we placed on it, but it was a necessity with two little kids. It took us a week or so to adjust, as we had always slept on traditional mattresses. Since then, my husband's snoring doesn't wake me up at night (not even sure if he still snores), and I wake up more rested than ever. I use one of each of the pillows, too...which has made a huge difference for me. I am pregnant and a flatter pillow between my knees, and the thicker pillow for side-sleeping, along with the Cloud Breeze mattress has been heaven. I'm a lifelong Tempurpedic lover now! 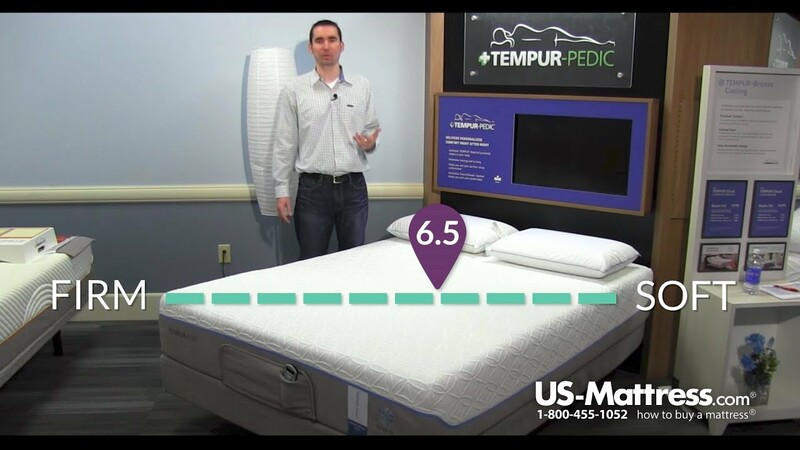 Having slept on a number of different sized and quality mattresses prior to purchasing the Tempurpedic Tempur-Cloud Supreme Breeze, I can honestly say this is the most comfortable mattress ever. I experienced a notable change in the quality of my sleep after purchasing this product. In addition the mattress does actually provide a cooler sleeping environment. Cannot recommend enough! No moving around to find a comfortable spot because all spots are comfortable. Best night sleep I ever had. Not as cool as would have imagined. I was a skeptic about tempur pedic for a long time. Was concerned that the bed was too hard and would not be comfortable. I finally decided to get one a year ago. All of my concerns turned out to be unfounded. I sleep better on this bed than anything I have ever owned or experienced. The air circulation is great and I really can tell a difference of how much heat a regular mattress causes when I stay at a hotel. Definitely get one of these if you want the best sleep and most comfort you have ever experienced. Bed is mostly comfortable. I should have got something a little more firm though. Im a side sleeper and feel like I over twist my back without a pillow between legs. Bed is supposed to be cooling, but doesn't seem like it does with a mattress cover. Which sales rep said it wouldn't effect. Have a adjustable base for it and I can definitely tell where the bend happens even when mattress is flat. Not sure if it wasn't designed for that kind of base. Bed seemed great when I tried it at store, but now feel it was way over priced for what it is. It's unfortunate because I can't just pay that amount for a different one and beds about the only thing I really get use when home. Should have got a sleep number instead. This mattress is really great! The cooling cover feels great when first getting into bed, and mattress gives excellent support. I can finally sleep in one position all night without getting uncomfortable and needing to adjust my sleep position. 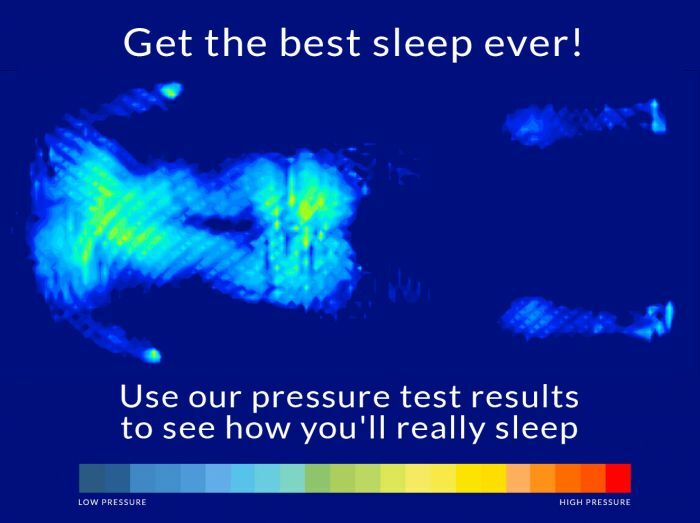 I really love the fact that I don't have anything like springs pushing on my pressure points when go to sleep. I can get comfortable and have the right amount of support for my spine. My body used to be sore when I work up on other mattresses, but not with my tempurpedic. Since I also live in the south near the coast, the cooler breeze mattress really keeps me comfortable during the summer. This is definitely the best mattress I have owned! Tempurpedic has outdone everyone when it comes to mattresses & pillows. Nice, comfortable mattress. I was hoping my back would feel better after sleeping. It did for a few months but is back to hurting when I get up. This is the best mattress we have ever had it is cool and very comfortable. Be sure to also get the adjustable foundation it is the best ! Enjoy! Comfortable mattress however it does take time to break it in. It is cool. I have not been warm sleeping on it. The mattress is extremely comfortable! My husband and I both get a great night's sleep. We also agree that there is nothing we don't love. I absolutely love my bed. I love getting in at night. Any aches disappear. I sleep better through the night. I used to wake up a couple of times, needing to turn over. Not with my temurpedic. I don't even like to travel anymore because I can't sleep as well in a regular bed anymore. We had to leave our first TEMPER Cloud Supreme in WA as we could not transport it. Bought another mattress from Mattress Firm that did not work for my wife. Hurt her hips to lay on her side. Traded it for a Cloud Supreme and it took care of the pain problem. After trying 3 different beds in 10 years, I finally bought a Tempur-pedic. This bed is comfortable and I do not wake up with lower back pain! I love that I do not hobble around when I get up and I don't toss and turn all night to alleviate hip and shoulder pain. I also like that I can exchange it after 90 days, if I need to. And it has an excellent warranty. The only thing I don't love about it is the price! But getting a good night's sleep makes it worth the money. When I first got it, I was getting up with NO back pain. Was loving it. Not sure if it because it over 100 days old or very hot days but I don't like how the firmness seems to be reduced. I don't feel the BREEZE cooling but again bought at end of Winter. Still a quality bed but can't give 5th star. Slept on my sister's tempurpedic and I noticed that my usual nagging back pain seemed better. I recently moved and decided to purchase my own tempurpedic. After 2 months, I am now sure that the matress is responsible for the improvement in back pain. Expensive, but fully worth the price! What can I say, they are the best. I have had Tempurpedic mattresses for 10-15 years and they keep getting better. Last year I bought a king size and tried another brand that was cheaper. I returned it and got the Breeze Supreme and very satisfied. They say if you buy quality the first time, you only cry once. I love waking up without back and shoulder pain I have restless legs and used to keep my partner awake at night but not anymore. We are both sleeping better. Helps with the hotflashes too. Bought the mattress because my back was hurting in the mornings. This mattress is so comfortable and my back feels well rested in the mornings. This is the most comfortable mattress we have ever owned. We slept well on it from night 1. I have back problems and for the first time, after straining my low back, I was able to sleep without pain. It still took a couple of days for my back to heal but at least I could sleep! Pay attention when you order the foundation. I thought there was only one height when there are 3. We got the default high profile and have to climb up to bed. We will be returning the base for the ultra low that I thought we were getting, based on pictures. Absolutely the best mattress for back pains and night sweats! Our Cloud Breeze made all the difference in the world to my wife, who's had 3 back surgeries with fusion. The cooling effect og the Breeze is my favorite complement of our mattress. WE LOVE IT! We have recommended to all our friends and family! This mattress has saved me through surgery recovery, back problems, menopause problems, if you know what I mean.... HOT FLASHES!! We owned the Cal King for 4 years and decided to get a split Cal King so my husband and I can use the adjustable platforms separately for reading and sleeping / snoring, lol and whatever the need is! We're very happy! Thank you TEMPER PEDIC!! Ever wake up in a pool of sweat, on an uncomfortable less than supportive bed, waking up as your spouse tosses and turns? This mattress remedies that! Well worth it! Thanks TempurPedic for a cool supportive uninterrupted sleep! We tried and loved the Cloud Luxe, but we were worried it would get too hot as my wife and I are hot sleepers. Looking at the descriptions, they appeared to be identical in softness and conforming to your body. But in reality the Cloud Supreme Breeze is just not as soft and contouring as we would have liked. It is hard to trail for 30 days when you wait 30 days to get it, and if it is in the winter versus in the summer months to see if too warm so the 30 day trial isn't that practical. Just wish it was softer and more conforming. The Luxe literally made my achy back feel better while in the store (i heard and felt it pop) - makes me wish we got that one instead. Ugh. It's an ok mattress and I really don't feel the cooling effect that it's supposed to have. It's not completely uncomfortable but it's not the BEST night sleep I have had. I love my Cloud Supreme Breeze!!! My mattress is cool and comfortable all night! I love the feel of my new Tempurpedic. I do not toss and turn anymore! Great Night Sleep! I am very please with my mattress. I have never felt so much support and yet pressure relief at the same time! The husband loves the extra cooling feature it helps him sleep cooler! My Tempur-Pedic made me a believer! I was always skeptical about what I mistakenly thought was some over-priced foam. Boy was I wrong! From day #1 and for the first time in years I slept for more than 6 hours, I felt refreshed, my back didn't hurt (and I didn't wake up due to back pain). I had tried other products but decided to go ahead and give Tempur-pedic a try after the salesman told me that I could and should try it with no questions asked if I didn't experience the Tempur-pedic difference and also offered a finance option that made the what I used to thing was only for the super wealthy, accessible to me. Well, needless to say the "test" period came and went. By getting rid of the things (like the TV) that were distracting me from getting to sleep and replacing all those distractions with my Tempur-pedic mattress, I going to bed, getting to sleep, staying asleep and rewarding my body for the hard work it allows me to do every day. Had the mattress for a year now . It sleeps cool not hot like I was afraid of ! Got the adjustable base as well I love it . Decided after 10 years to get a new mattress. Old mattress was a Tempurpedic. Because of price, tried an online mattress. Could not sleep for the next 90 days! Returned the online mattress. Bought another Tempurpedic. Been sleeping like a baby ever since! I was very hesitant to buy one due the tempurpedic being know to be hot to sleep on. Well this new cloud line is the complete opposite. The bed is very comfortable and cool. I haven't been hot on this bed yet. In fact there is a flat sheet and duvet on top of me when I sleep. I wake up well rested amd ready to go. I don't wake up in the middle of the night tossing and turning. I have also had less visits to the chiropractor since sleeping on this bed. Pros: it's just the right amount of soft, and cradles my everything. I sleep so deeply now, and wake up feeling relaxed. Plus, It doesn't bounce, so I don't wake up when cats or hub roll around (cats love it too). Cons: the cooling effect is sort of dulled once the mattress protector and sheets are on... Plus it doesn't bounce, so you can't jump on the bed. This our first Tempur-Pedic mattress and we'll never go back to any other From day one we slept comfortably, peacefully and soundly. The Breeze truly is cooling during sleep. Coupled with the Tempur-Pedic bed frame we can adjust each side to one another's preferred sleeping angle. The bed frame controls are simple to use and with the LED lighting up can be used at night without turning on a light. Our only regret is not getting the Tempur Cloud Luxe Breeze for a slightly "softer" feel. Very comfortable for two of us with hip issues. The mattress has a great mix of firmness and enough softness to allow for two of us with bad hips to sleep on our sides. It is also relatively cool on hot summer nights and warm in the winter. This mattress is the perfect combination of soft & supportive. And on top of that, I actually believe the beeeze system helps with my hot flashes!! As much as I had hoped it would help mine and my husband's back's, it has not. It is a great mattress though and extremely comfortable. Also, I do find that I roll to the middle of the bed sort of like a downhill ? I'm not sure I understand why this happens . I am only giving this a three star rating nearly because it is not helping for the intentions we bought it for. I am not saying it's not a good mattress because it is!! So I definitely would recommend this mattress. However, if you have back issues as we do this is not going to make it any better. ***This will be long, but hopefully helpful*** At the time of this review, it's been about a year since we made this purchase. Never thought I'd ever need or want to purchase a mattress of this caliber. To me a bed was a bed, but as I've grown older and some of the aches and pains started to set in I was running out of placed to look. The turning point was when my hips and my lower back really started to become a problem. I recently discovered I have a fused lower vertebrae in my lower back that will always cause issues for me, especially as I age. I was sleeping miserably, my wife was sleeping miserably, so we had to make a decision and pull the trigger. We did a lot of research, but we settled on the Tempur-Pedic due to it's neutral feel between soft and hard along with peer reviews and some other factors. It was a bit pricey, but at this point, I think our nightly comfort is worth more. Almost from night one we started to feel immediately better. The tossing and turning and flipping back and forth went away. The pains I was experiencing subsided and have pretty much disappeared. I often find myself in the same position as I went to sleep in. I was going to a chiropractor for weekly adjustments on my back and I don't think I've been back since. The only negative, if you call it a negative, is that getting up for work is a challenge at times because of how comfortable and deep I sleep sometimes. I should also mention that the breeze technology is nice, but don't expect to feel magically cool because with sheets on you likely won't really notice it, but at the same time, it's not overly hot either so maybe it cancels out any excess heat. If you can manage, I highly recommend this or any of the other Tempur-Pedic mattresses, as they all use similar technology I believe anyways so you don't have to go for one of this price. If we ever upgrade to a King, we already know where we'll be looking for this purchase in the future. Can't recommend this highly enough. Me and my wife love the way are back feel in the morning when we get up. Best bed we have ever own!!! Great Investment ! ! ! for improving sleep and health. Enjoying my adjustable base with my Tempur-Cloud Supreme Breeze ! ! ! This mattress is heavy and firm and emirates quality when sleeping or otherwise using it for activities. I have it on a 2" bungee (sp?) board box frame only, solo any imperfections would have made themselves clear by now and haven't. I love it, sleep better, and have significantly lower back pain. Have had the mattress almost a year, and so far it's the best mattress I've ever had. I sleep better than ever. Also, doesn't transfer movement whatsoever. My wife and I sleep well and are both very comfortable every night. No better mattress I look forward to my sleep. It's great to have something of such quality! Unless you like sleeping with your air conditioning at 69° While paying the crazy electricity bill just to keep this mattress cool while sleeping on... than avoid at all cost.... because the cost of this mattress is not worth the cost of sweating profusely throughout the night.